The president suggested he might attend the White House Correspondents' Dinner now that historian Ron Chernow has been announced as the night's entertainment, rather than a comedian. 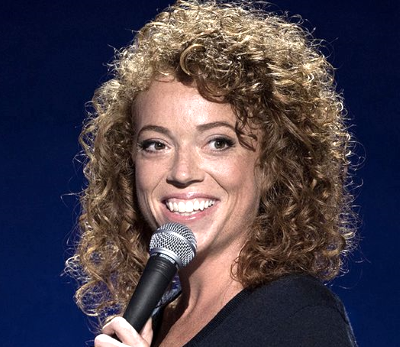 Trump tweeted: "So-called comedian Michelle Wolf bombed so badly last year at the White House Correspondents’ Dinner that this year, for the first time in decades, they will have an author instead of a comedian. Good first step in comeback of a dying evening and tradition! Maybe I will go?" Wolf tweeted in response: "I bet you'd be on my side if I had killed a journalist. #BeBest," referring to the president's decision to go easy on Saudi Crown Prince Mohammed bin Salman following the brutal murder of Saudi Arabian journalist Jamal Khashoggi. Michelle Wolf: “There’s so much on Netflix right now that it’s like it’s almost become a tomb"